Whenever payday comes around, we often focus our attention towards the amount of money we’re receiving for our services, yet we often ignore whatever is written on our salary slips. Knowing how our monthly earnings are derived can greatly impact the way we manage our finances. 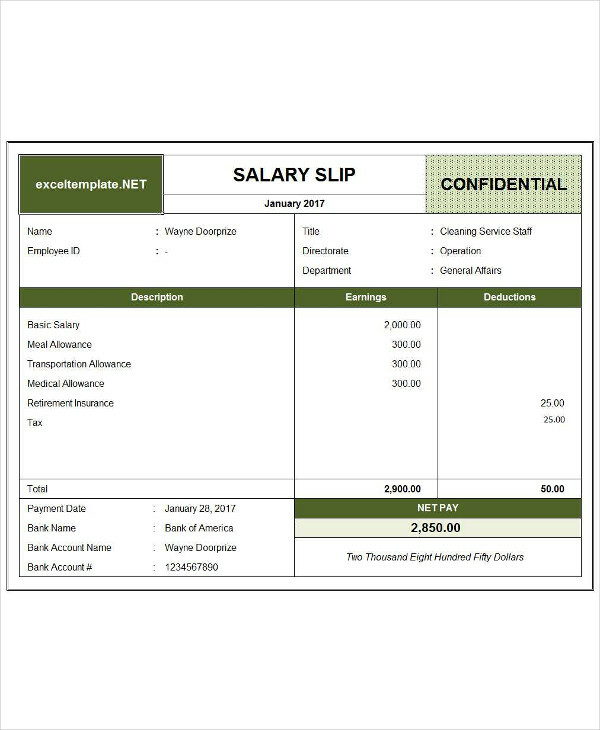 The salary slip also contains valuable information that could be used to settle future conflicts and other legal issues with your employer. You may also see permission slip templates and examples. 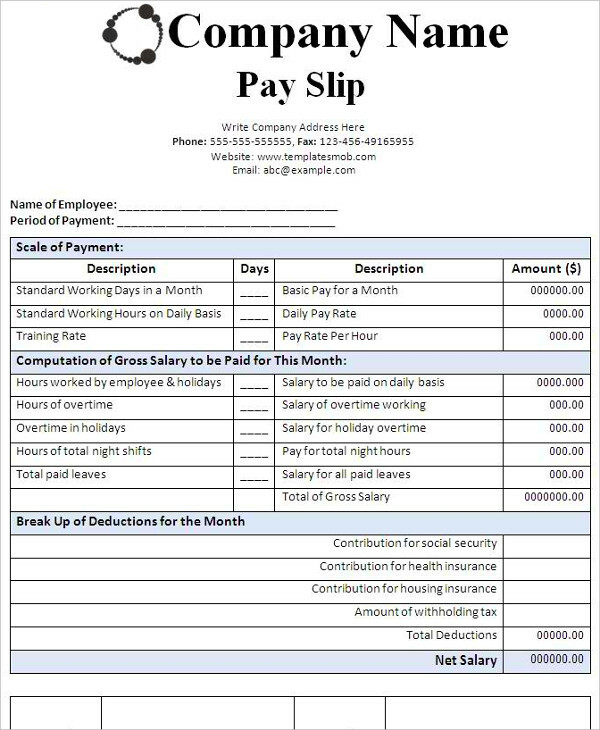 A salary slip, otherwise known as a payslip or salary receipt in certain countries, is given to employees to inform them of their monthly pay and allowances. This is an important legal document that every employee is entitled to receive from their respective employers to serve as proof and general statement of your monthly earnings and deductions (if any). A salary slip may also be used for other purposes, such as a requirement for a bank loan and mortgage to show that one is financially stable enough to pay it back. The credit limit granted to an applicant by a financial institution would also reflect what has been stated on the individual’s salary slip. 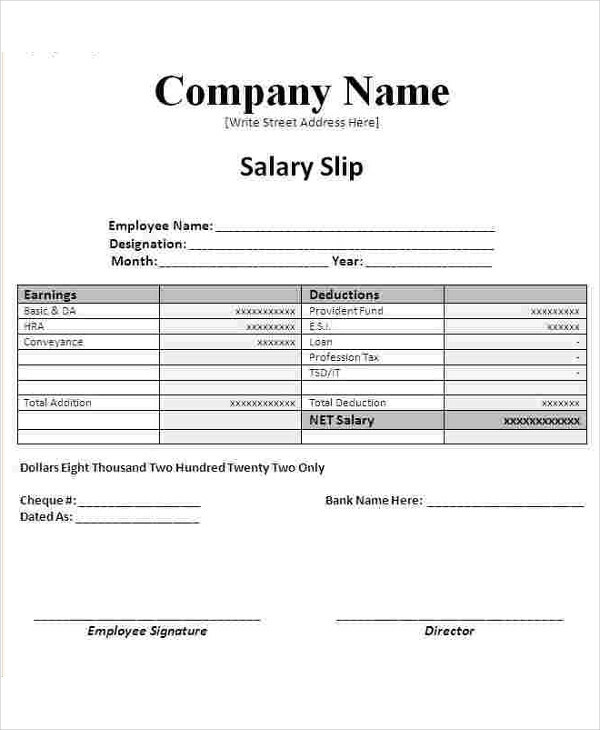 Keep in mind that a salary slip can be a vital document for future reference. In some countries, employees are responsible for computing their own taxes. This will decide whether or not you’re expected to pay income and other taxes, along with the amount you will be required to settle every year. You may also see payment receipt examples & samples. Additionally, a salary slip also guarantees access to particular government-provided services that are either given for free or with heavy subsidy. The public distribution system in certain countries usually cater to average workers with minimum wage to ensure that food grains and medical care are allocated properly. You may also like receipt examples in excel. A salary slip can also be a good bargaining chip to negotiate a proposed salary with your new employer. This will serve as proof of your previous earnings to help decide how much they plan to pay you. Unfortunately, salary slips are used as basis for legal cases as well. This will help the court decide how much alimony and compensation must be granted to a spouse when facing divorce proceedings. 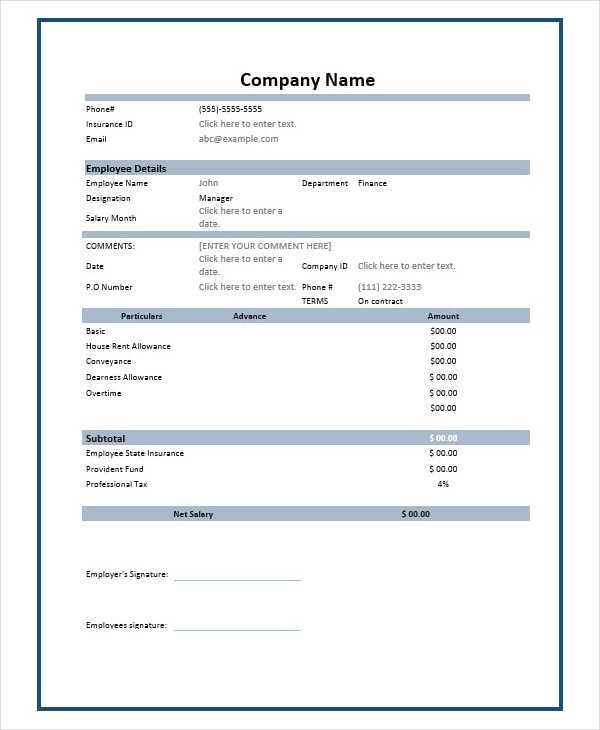 You may also check out company receipt examples & samples. To Print or to Email? Now that technology has taken over the marketplace, issuing salary slips manually has become a thing of the past. Yet, many employers still issue them for different reasons. 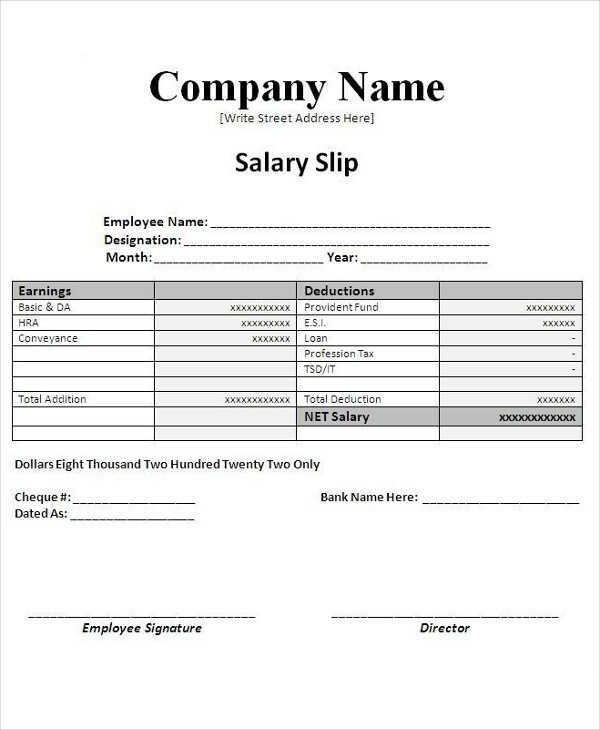 Printed salary slips can come in handy especially when you need a physical copy as proof of your earnings. You may also see cash receipt examples & samples. Digital salary slips, on the other hand, are distributed through email by the company’s human resources or accounting department. Though they may not seem as professional as the physical ones, many companies still issue them for quick and easy distribution. You may also like receipt examples in pdf. 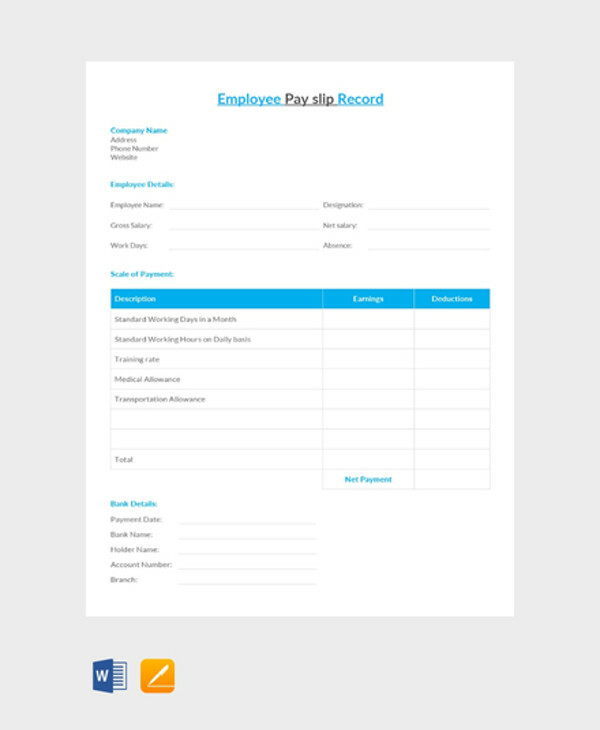 E-salary slips can easily be printed for personal purposes, or stored for future reference. However, make sure the issuing officer in charge has signed your salary slips before submitting them for legal requirements. Regardless if your employer issues a manual or digital copy of your salary slip, both documents possess the same legal status. 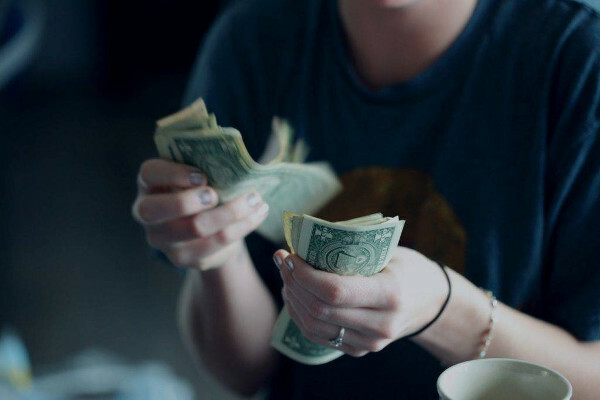 Bear in mind that tampering or altering your salary slip can also become a criminal offense, especially when resolving a dispute about your current salary or wage. You may also check out service receipt examples & samples. It is your legal right to request and receive a salary slip from your respective employer, whether you’re working for a private employer or a small firm. If the company you work for does not have an official salary slip to begin with, then you may ask for something of the same form. 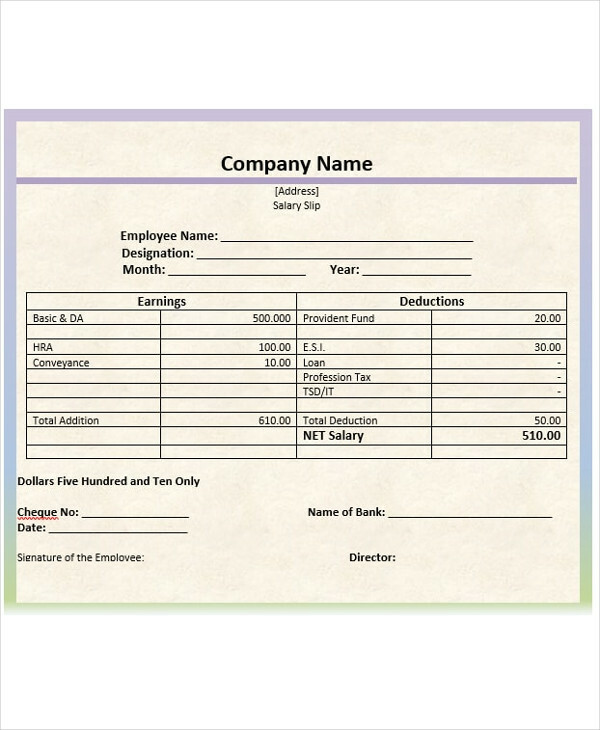 It can be a simple piece of paper indicating your monthly or weekly salary (depending on how you are paid), days worked, and possible deductions. You may also see official receipt examples & samples. As long as it is signed by your employer, then the slip provided would already be acceptable. Apart from the human resources department, you can also get your salary slip from the finance and administration department, the payroll service provider responsible for managing your wages on an outsourcing basis, as well as the bank for earnings that go directly into your account. Every month, or even twice a month for certain companies and different countries, you’re likely to receive a salary slip for the finance department of your company once the salary gets paid out. Although these payslips may be used for different purposes, to most people, the salary slip is an important piece of document when applying for a new credit card or banking loan. You may also see receipt examples. A salary slip can sometimes be too complicated for some people to understand. The complex terms and figures seem like an endless puzzle you wouldn’t dare to solve. But understanding your salary slip a lot better can be beneficial for a number of reasons. For one, this can help you choose wisely from competing offers when you are hunting for a new job opportunity. This will also help you optimize on tax liability by utilizing the deductions listed on your slip. And if you do need to understand more about your salary in order to secure better savings, then the salary slip will help you understand what salary percentage is forced savings. You may also like catering receipt examples & samples. The following items are just some components included on a salary slip. Some of which may or may not be found on your payslips, as this usually varies on the laws implemented. Basic salary – As the most important part of your payslip, your basic salary generally comprises about 35-50% of your total earnings. Most of the other components mentioned on the slip are structured around it. This is 100% taxable, depending on what has been implemented by the laws in your country. You may also see photography receipt examples & samples. House Rent Allowance – A House Rent Allowance (HRA) is provided to employees to aid them in paying their rent. This is normally 40-50% of the basic, which is usually based on the location in which you reside. Conveyance Allowance – Otherwise known as transportation allowance, a conveyance allowance is paid by the company to cover an employee’s travel cost from home to work and vice versa. In some cases, this would also depend on the distance traveled by the employee to ensure that allowances are granted equally. You may also like free receipt examples. Leave Travel Allowance – Though this might not be common in most organizations, a leave travel allowance is a special type of allowance given by employers to fund employees on their travels while on leave. The allowance may even include the travel costs for immediate family members. You may also check out restaurant receipt examples & samples. Medical Allowance – Regular company employees are typically granted a medical or health care allowance during their period of employment. These expenses are basically reimbursed by the company, thus, providing proof for such expenses in the form of medical bills and receipts is completely necessary. Failure to provide evidence will still grant you the amount, but will be fully taxed by then. You might be interested in receipt examples in word. Performance Bonus and Special Allowance – Employees who have performed extremely well throughout a given time period are often rewarded with a performance bonus or a special allowance. This amount would depend on the performance executed along with company guidelines. This is done to continue encouraging employees to work harder for better business operations. 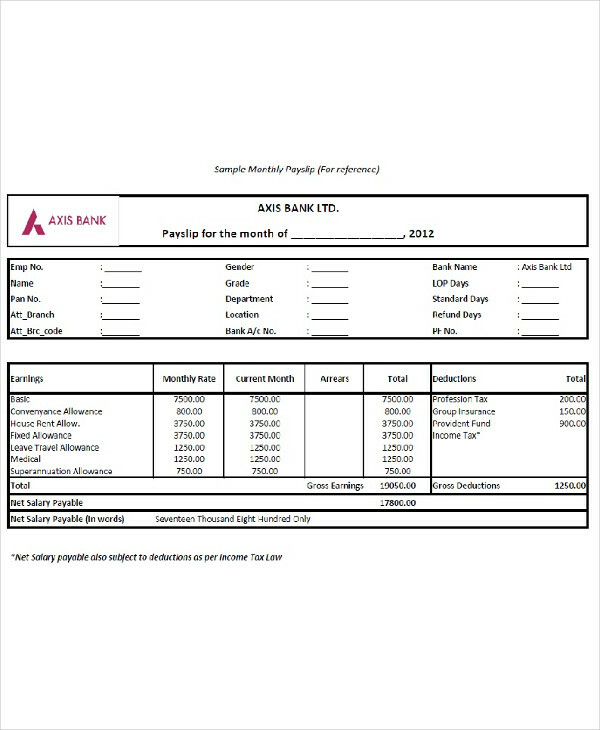 You may also see loan receipt examples & samples. Provident Fund – While investing on a PF is fully optional, many experts still recommend this for individuals who are unsure with how they want to invest their money. Here, 12% of your basic salary is put into the hands of a government-controlled body called the Employees’ Provident Fund Organisation. This contribution is then paid out to retired members of our society, as well as those who are disabled and cannot work. You may also see generic receipt examples & samples. Government Deducted Taxes – In some countries, taxes are paid and deducted immediately from your salary on a monthly basis. Instead of calculating this on your own, the company is held responsible in your behalf. This payroll tax may also vary depending on how much you earn and the percentage specified by the labor law. You may also like transfer receipt examples & samples. Reading a salary slip can be confusing, not to mention daunting, for many newcomers. People who possess little to no knowledge in accounting and other similar fields might find it difficult to read and understand what has been stated on their salary slip. This can be a huge problem, because if you don’t pay attention to what has been printed on your salary slip, you may not notice mistakes or errors that the issuing office might have overlooked. You may also see sales receipt examples & samples. 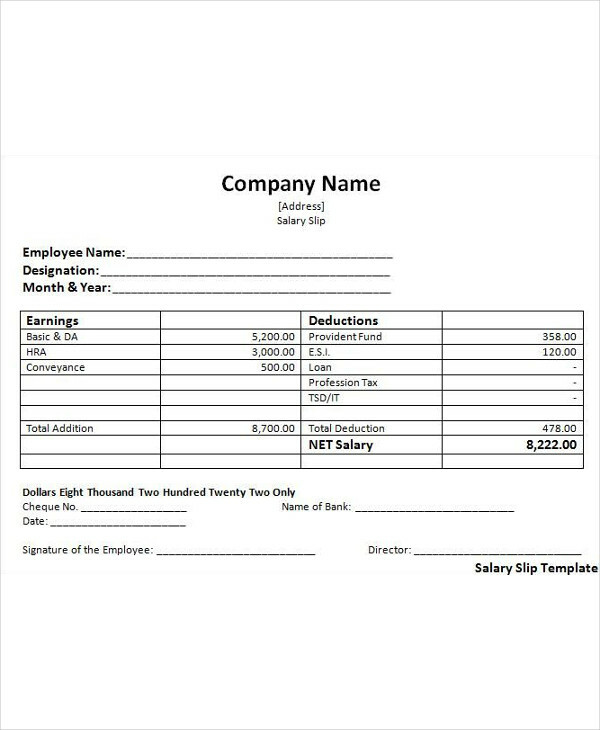 Apart from those listed above, a salary slip may also contain other significant information such as the person’s full name or legal identity, personal address, employee number in the company, and payment details. The date on which the salary was due must also be indicated on the salary slip. The employer also has the option of mentioning the current leave balance and the total leaves granted on the slip for the employee’s sake. You may also like receipt voucher examples & samples. Be sure to check if your salary slip contains all the necessary information as well. Otherwise, this may be rejected by the financial institution or corporate company you are applying for. Understanding what a salary slip is and the role it plays in an employee’s life can be beneficial in a number of ways. Due to its level of importance, every working individual has the right to receive a salary slip from their respective employers for their personal or professional use. You may also see blank receipt examples. 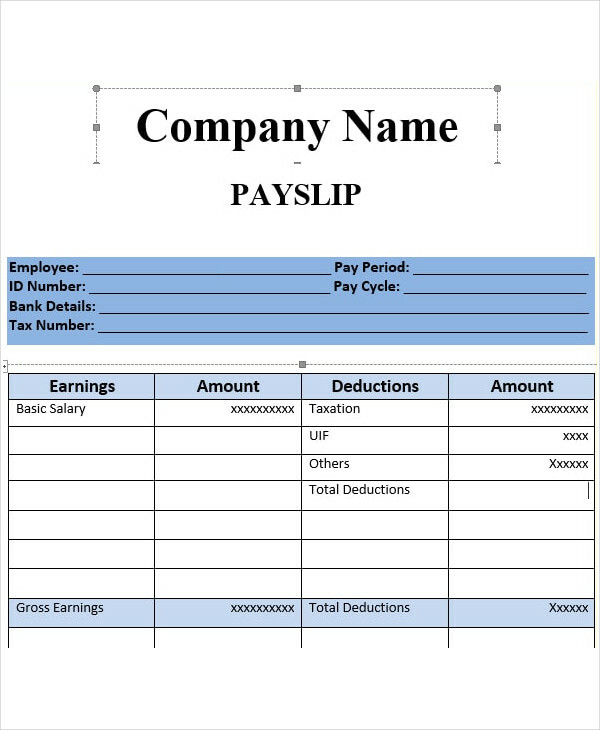 As an employer, it is your responsibility to provide well-created payslips that contain key information for employees to be fully aware of their earnings, and to avoid potential legal disputes with former or current members of the organization.